Pioneers in the industry, we offer non shrink cementitious grout, high flow non shrink cement grout, epoxy injection grout, epoxy grout chemicals, epoxy grout and anchor grout from India. 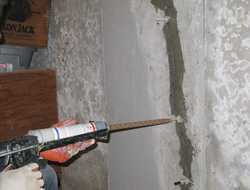 Epoxy injection grouting is a method of repairing cracks in concrete structures. ... Epoxy based grouting is preferred to cement due to property of quick setting, very low shrinkage, excellent adhesion, high strength, low viscosity to penetrate even hair cracks and good resistance to most of the chemicals. 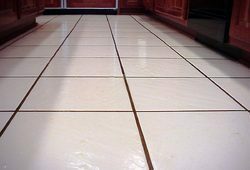 The tile grout composition is a water-based epoxy grout composition which has excellent stain and chemical resistant properties and is workable and easy to clean up after grouting the tiles. 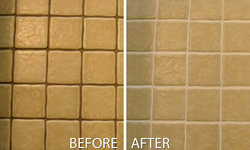 ... For colored grouts, a color coated filler such as sand is employed to obtain the enhanced tile grout properties. Epoxy grout (meeting ANSI A118.3) is quite different from cementitious grout andepoxy emulsion grout. Made from epoxy resins and a filler powder, the grout is extremely hard, durable, and nearly stain proof. Often times the bond between tiles is stronger than the tile itself. webertec anchor grout is a three-component polyester resin and special catalysed filler that has been developed for anchoring and fixing. 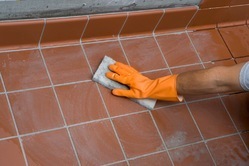 The pourable grout is suited for pouring into holes foranchors in floors and slabs. webertec anchor groutrapid is available for cold weather working. Typically, the water-based epoxy grout system is a three-part system comprising anepoxy resin and a curing agent which is usually a polyamine or polyamido-amine and a filler powder such as sand and hydraulic cement. For ease of application and the ability to fill tile / stone joints the grout is best mixed to a smooth, creamy consistency. EPOXY GROUT is Hygienic, hard-wearing, impervious, epoxide resin-based grout with a high degree of resistance to chemical attack, abrasion and impact. 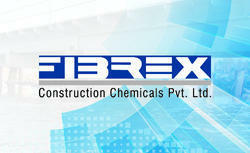 A high quality fine, polymer-modified, water - resistant, cement - based powder grout designed for grouting glazed wall tiles, mosaics, vitrified & fully vitrified tiles, floor tiles, industrial floor tiles, etc (where chemical resistance, hygienic and sterile is important use ARDEX ENDURA EPOXY GROUT).